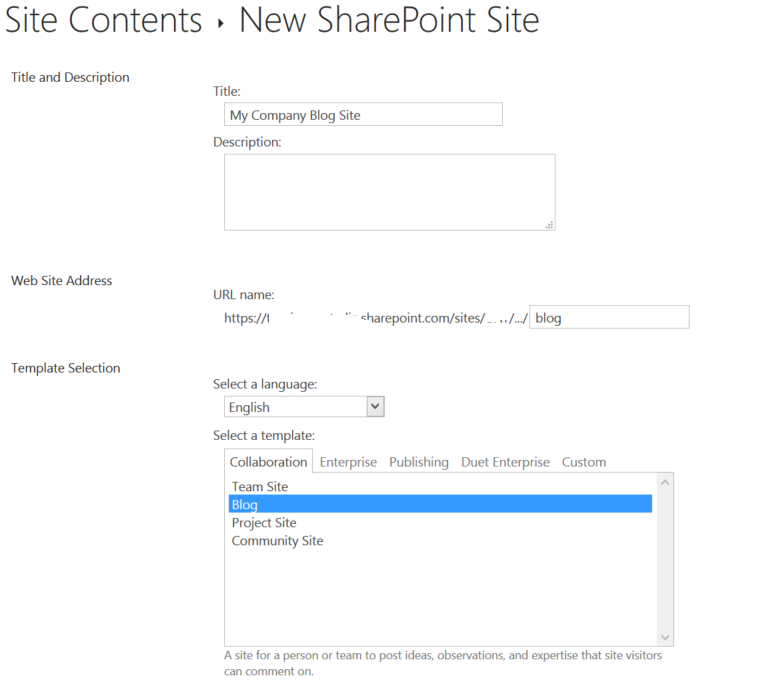 Today one of the clients I am working for asked me to suggest options for blogging on Office 365 SharePoint Online. Following are my 2 cents on it. Let me share what are our options with each type of blog posting and how to do it. You need to have administrative rights on the site/site collection to be able to create a new (Blog) sub site. Once you have the blog site ready you will see following on your Blog home page. I must admit this is not a very best of interface but this feature is out of box and it works. This link lets you create a new blog post. 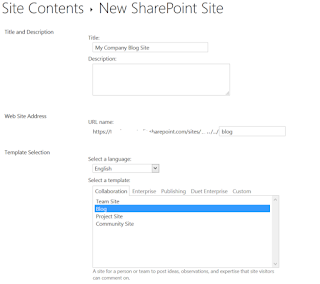 SharePoint keeps blogs, comments and categories in different sharepoint lists and each link lets you work on the respective sharepoint list. Layout that you see on your home page is different from mine because I have chosen Boxed layout. Other options are Basic and Inline. Click on the About Me link on your profile picture on the top right corner of the page. Under Profile you will see Blog section which lets you create your personal blogs. The interface is awesome and also lets you write posts directly from your Office Word which you can post directly to your Blog but I dont like a few things about it. I cannot share it as I would like it to. Share sends an email with a link to the post. Clicking on All posts takes me to all my published and draft posts and lets me create a new post which is similar to the small + New post link on the top right on the Blog section on my profile page. Open your Office Word and compose a pretty blog with images and videos and you can directly publish it to your Blog. It really depends what type of Blog you or your organization needs. If its really your personal blog which you want to share with your team, My blogs is a way to go but if its organization wide which you want people to be interacting with go for SharePoint Blog Site. do you know a way to edit the boxed layout ? Maybe via sharepoint designer ?